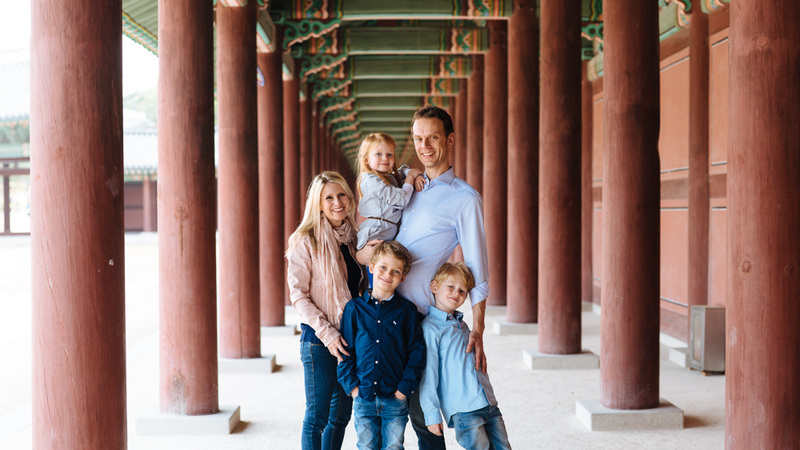 On a beautiful April day, I set out with the Elbracht family for the last time to make some family portraits for them before they left Seoul for good. It was a bittersweet day as I’d got to know them quite well over their years here. 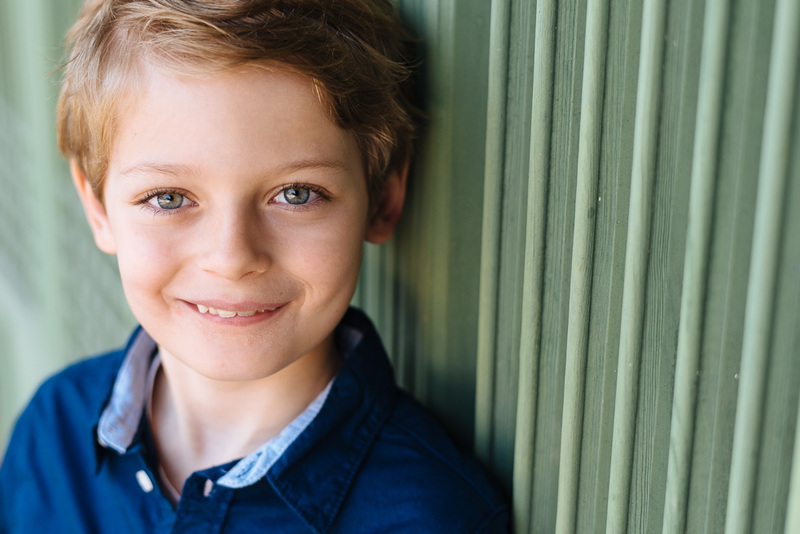 It’s always a pleasure to work with Max, Oskar, and Greta. As we’ve got to know each other, the sessions now are more like catching up and making a few images together. 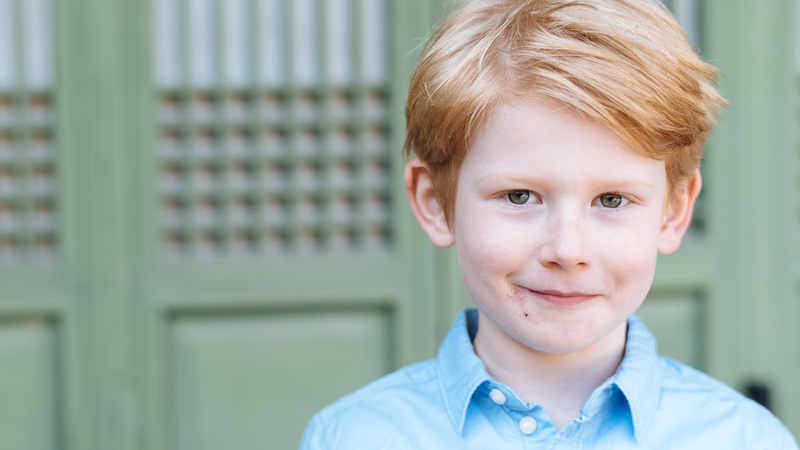 The kids come with their own ideas to each session and we mix those in with what I have planned as well. It makes for a great session. 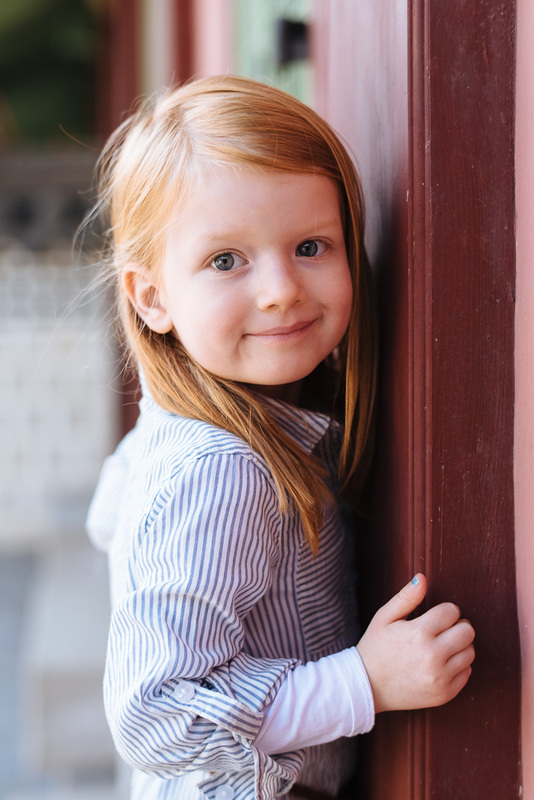 Allowing them the freedom to choose some of our locations also means that we get to make images that will be meaningful to them when they receive them as well. At this session, the boys chose the location for our first picture. Right out of the gate we got a shot with each of their personalities on display. Then we added mum and dad to the mix before making some individual portraits of the kids. Since my last session with them, which was only 6 months prior, they had changed so much. I wanted to make sure we captured that. Each still had their personality but displayed it in a slightly different way this time. Max was still a confident deep-thinker. Greta still maintained her sweetness. Oskar still had his edge of cheekiness. But, their faces had grown up so much. At every session, I like to capture something that gives you a sense of scale. Kids will grow up, and they will do it fast. So, it’s great to look back and see how small they once were. 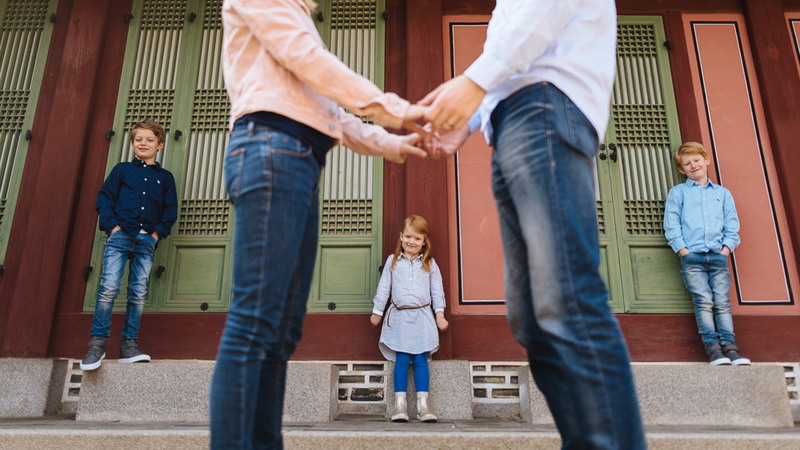 The vast expanse of Seoul’s palaces isn’t really visible in the other images. So, I also wanted to leave the family with a sense of the place that they had been living in for all these years. This final image, I believe, shows that. 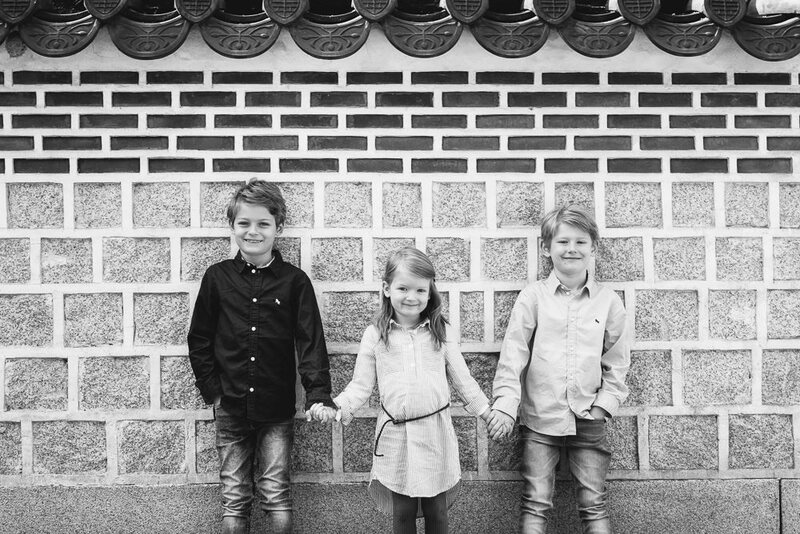 Thanks to the Elbracht family for allowing me to document their time in Seoul. It’s always a pleasure and I hope to see you in the future. 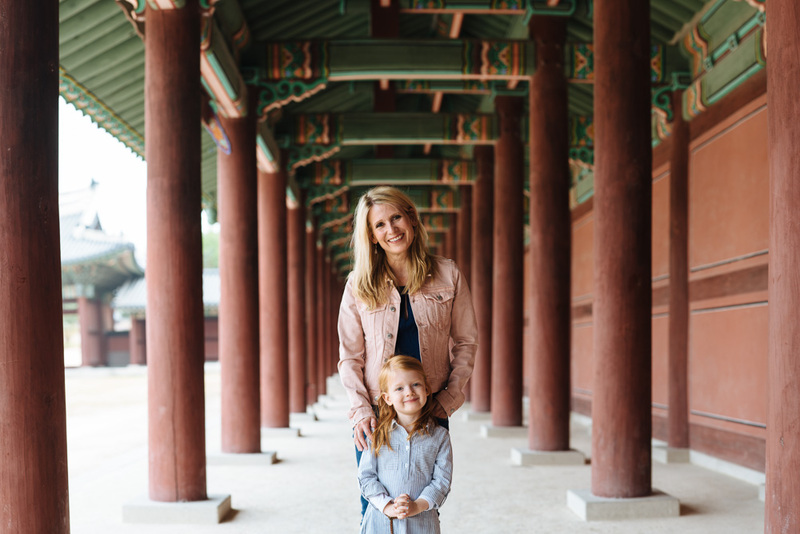 Please get in touch if you’d like to have your own family portraits made while in Seoul and, of course, follow me on Facebook and Instagram for more updates.